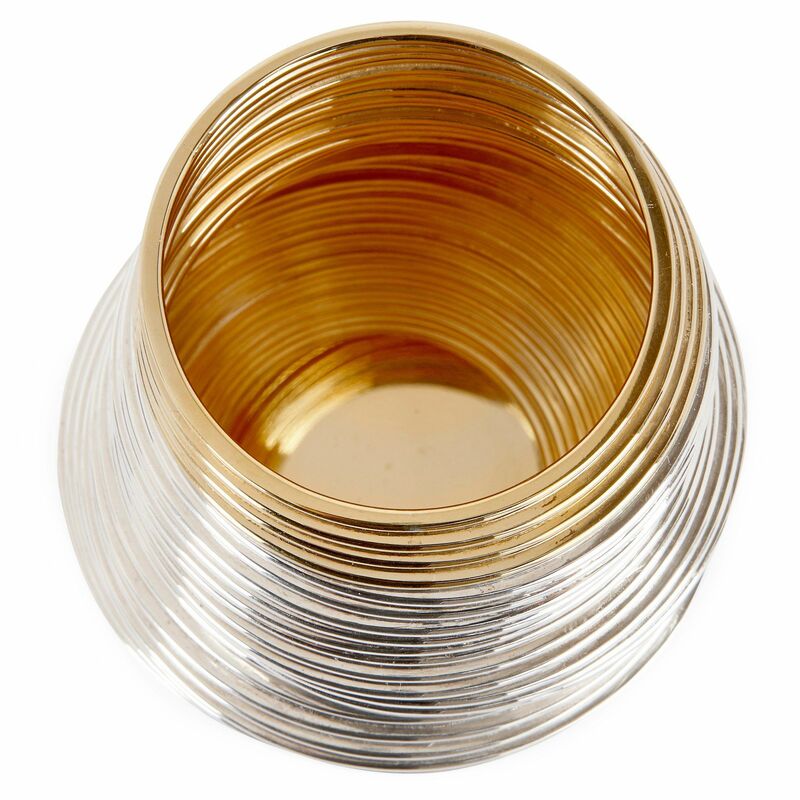 These charming solid silver beakers highlight the playfulness and wide ranging inspiration present in the beauty and freedom of Nan Nan Liu's designs. 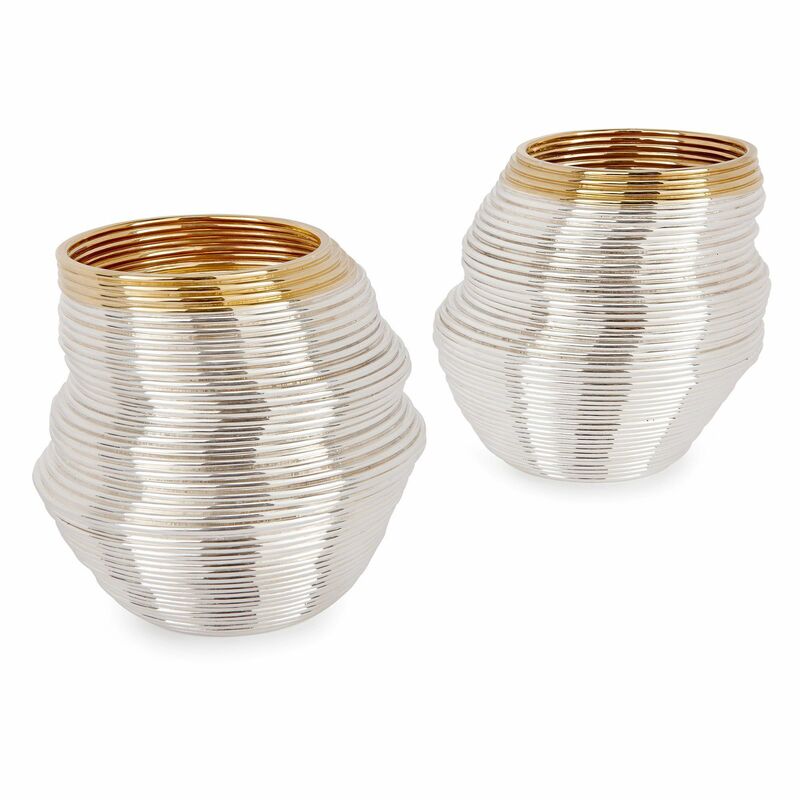 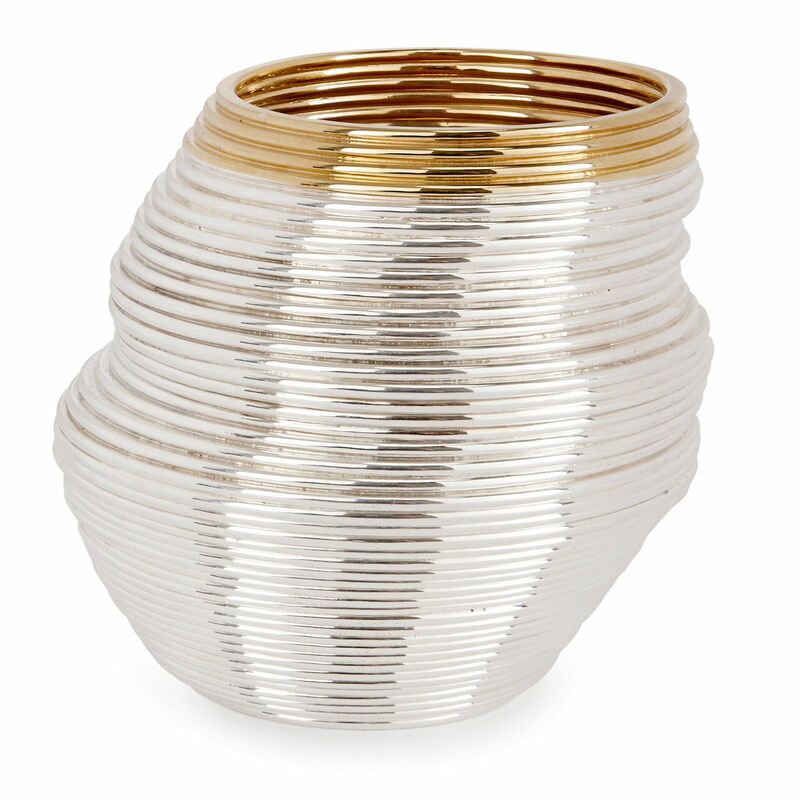 Each of the beakers are made of coiled sterling silver, which is formed to echo the appearance of the 'Slinky' toy. 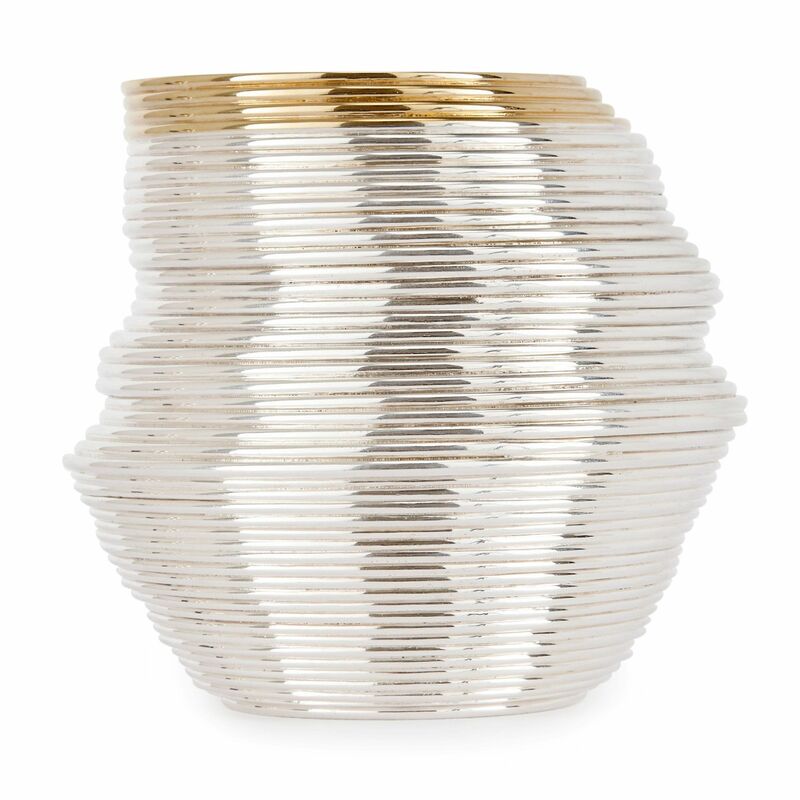 The beakers feature silver gilt rims, and their shape oscillates inwards and outwards as if they have grown in accordance with a changing natural environment. 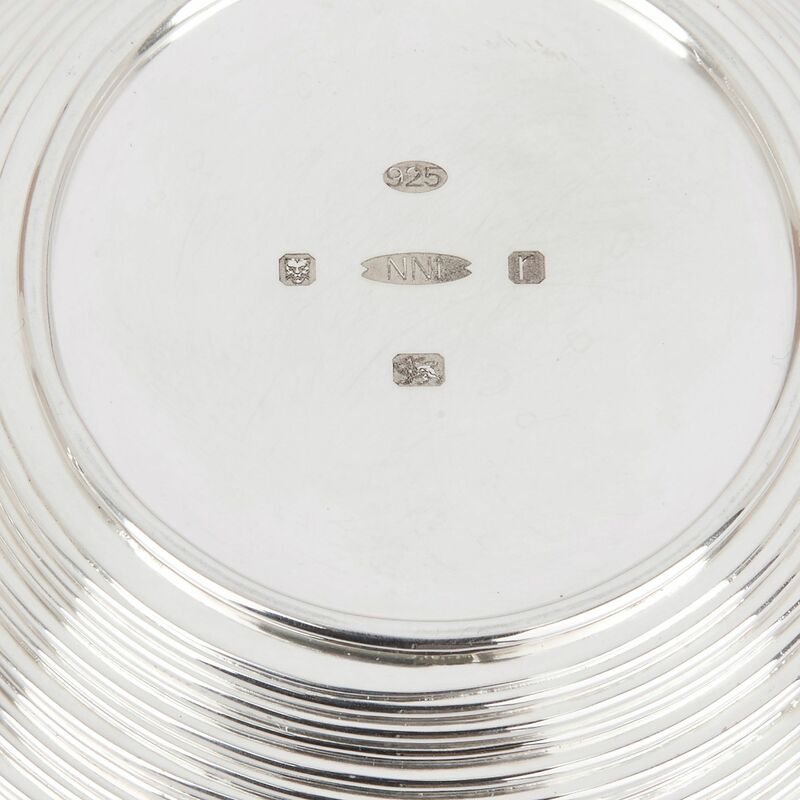 To the base are silver marks and Nan Nan Liu's signature. 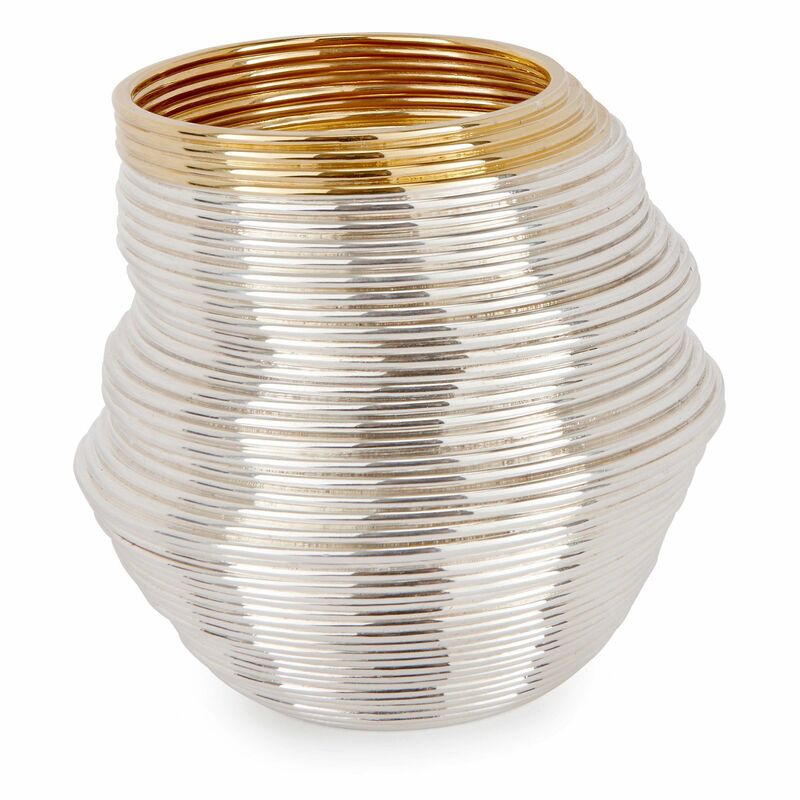 London based silver-smith and Royal College of Art graduate Nan Nan Liu takes inspiration from organic forms and natural shapes in her oeuvre, which often focuses on the movement of waves, which she masterfully brings to life in silver jewellery and objets d'art.